Cold weather has descended across UGI’s service territory bringing opportunities for snow and ice to accumulate. As the winter weather continues, UGI encourages our customers to be “Winter Wise” during the cold temperatures and severe weather. Be aware that UGI adds an odorant, which smells like rotten eggs, to natural gas to help you detect a gas leak. The odorant is added in small concentrations and is harmless. If you smell an odor of rotten eggs, leave the building immediately, taking everyone with you. Do not use the phone, light a match, or switch anything on or off. Leave the door open, and once clear of the area call UGI from your cell phone or neighbor’s home. UGI’s emergency response number is 800-276-2722 and UGI emergency responders are available 24-hours a day, 365 days a year. Check your outdoor gas meter, gas piping and appliance vents regularly to ensure they are clear of snow and ice. 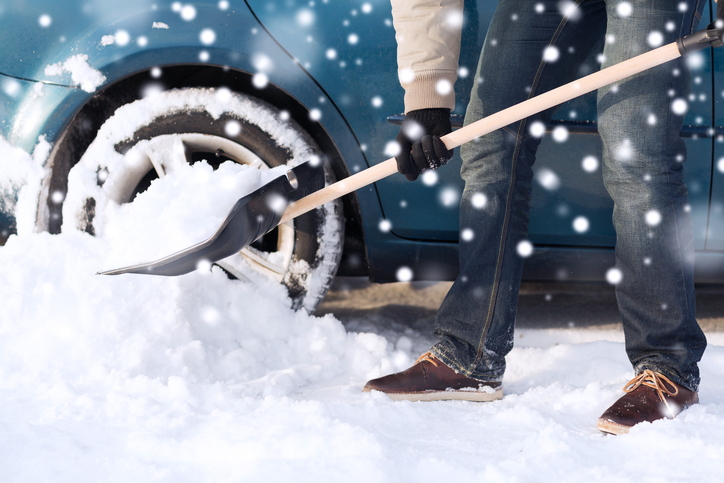 Avoid using a shovel, plow or snow blower near gas equipment and never use salt, hot water or ice melting chemicals to remove snow or ice from your meter or pipes. If you use a wood-burning fireplace, be sure to use a safety screen or glass doors to keep embers from escaping. Remember: Wood stoves should be cleaned and inspected annually to prevent the risk of fires and Carbon Monoxide (CO) from entering the home. Use caution with space heaters. Place a space heater on a level, hard surface and keep anything flammable (such as paper, clothing, bedding, curtains or rugs) at least three feet away from the unit. Have a qualified heating system professional check furnaces, water heaters and other internal combustion appliances. Having an annual check and service of your heating system and appliances will not only allow the unit to run more efficiently and reduce the possibility of a mid-winter breakdown, but it will also ensure the safe operation of the appliance. If using outdoor lights around your home, make sure you use outdoor-rated extension cords and timers. Follow the directions on cord labels regarding connecting light strings and extension cords to avoid overloading electrical circuits. If a cord feels hot to the touch, it is overloaded and may cause an electrical fire. To help avoid overheating indoor extension cords, do not run them under furniture or carpeting, behind baseboards or over walkways. Do not string a series of extension cords together. For more winter safety tips, visit www.ugi.com/safety.